I went from a charter school to public school in NYC before I knew I had to move across the country. 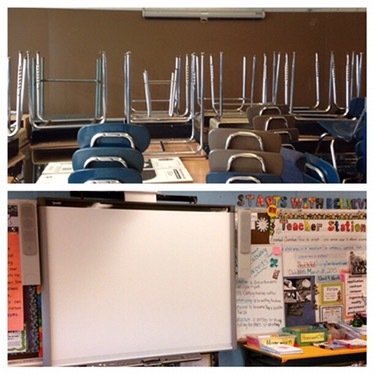 This is the transformation that my classroom went through.. Started with a chalkboard and ended with a smart board. But don’t let that fool you. This experience was awful. I was thinking of pinpointing situations to you but there are just so many. There were two boys in my class had hs anger issues. They literally fought in every. single. class. And by fought I mean fist fight and throwing desks. In science, 1st period… Then in my class, then math, and lunch and recess and gym and writing. It was unreal. Whenever I would pick up the kids of gym, it was always a problem. These two boys has tried to fight with everyone, including the teacher. And the best part, no one helped me!! No one except my dean, this older woman I would like to call Saint A. Mind you I was new to this school and didn’t know many people. But it was unbelievable how much help I did not get. I tried everything from rewards, to table points, individual points, parent calling, detention, giving up, breaking up fights, separating the kids in two classes. Nothing. Worked. Not only were the two boys ruining my class because I couldn’t teach anything when they wanted to ruin my class by screaming and yelling and running around the hallways, but then I had a hot headed girl who wanted to be like them and get attention, and then when the boys were good, she was a mess. And these kids were not nice. They hated me for whatever reason and would tell me that everyday, which is fine, I don’t care. But my only thoughts were these poor other kids that wanted to learn couldn’t because I was trying to protect them from getting hurt from these 3 kids in my class all of the time ! I wasn’t allowed to call security anymore either. They said deal with it in my classroom. What a joke. Did no one care about anyone’s safety? I mean I was good at breaking up fights and locks kids out of my room but when did that become teaching ?! In March, one of the kids got expelled. The classroom got much better- we were able to go through days without fist fights and even sit through tests. Although that one boy was still there, he was tamed down because he saw what happened to his friend. The rest of the year was just survival and hopefully learning something. I learned a lot that year about myself and teaching and how I handle really bad situations. I felt that I did really well with the hand that I was dealt. I just pray those kids don’t end up in jail or dead as they go into high school. I moved across the country right after this so I haven’t been back but I heard a lot of bad things. 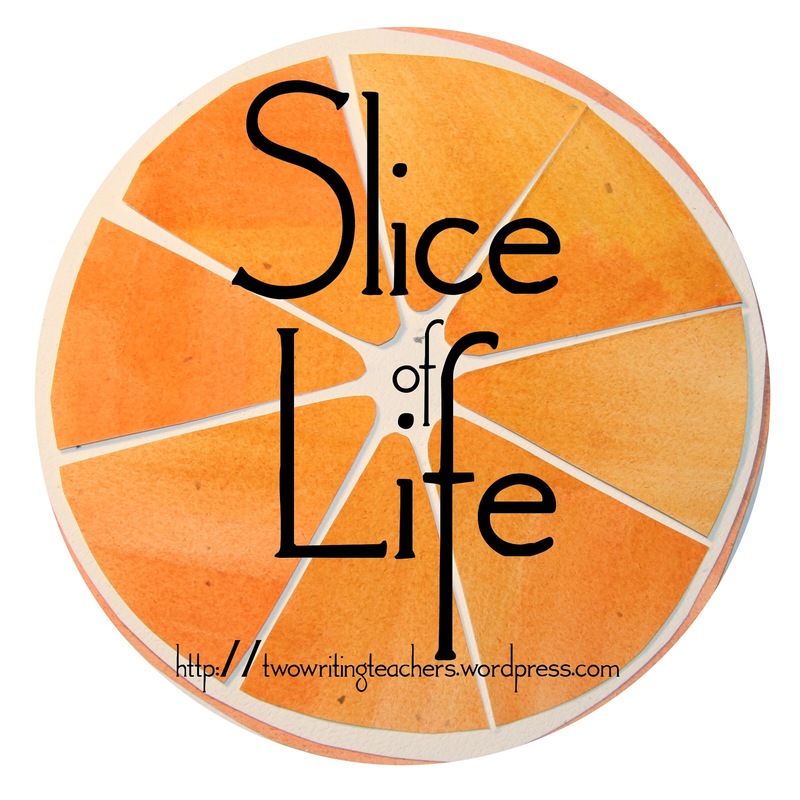 Want to join slice of life ? Two writing teachers and start writing ! Do you have classroom support? Man that’s a tough one. There are more and more diagnosis of ADD, ADHD, ODD, Tourettes, Autism but less and less classroom support. 5th grade??? How is this possible. What does your principal say or do? What advice or channels do fellow teachers tell you to follow in order to get help? What about Saint A? He had 5 APs to handle this. My AP told me to handle it in the classroom and keep documenting everything and calling their Parents. No one had any advice that worked. I tried it all! Saint a would pull the kids out of my room and talk to them. That was a saving grace. What you went through to try to help…with no help! You were strong and courageous. Sounds like my first class. My additional problem was that I was figuring out how to teach two grades at once. I had an awful time teaching because the other group could not behave while I was working with one group. I am seriously thinking that maybe I should leave teaching because I don’t anticipate the kids getting any better as time goes on. Parents and the government basically have made trying to teach impossible with no support, lack of funding, restrictions on punishment, and impossibly high standards. Like you, I was told the same thing when I got evaluated. I was frustrated that I got no support either and was left to deal with the monsters on my own. I can tell you first hand I considered leaving teaching altogether, but I’m glad I didn’t because when I switched schools, it was NOTHING like that other school. So it really depends on the school and how it’s run.